The FRP Machine Covers Supplied by us are widely demanded by the clients owing to their thermal and electrical insulation property. These Machine Covers can be used to cover a machine, an engine or as a casing to engineering equipments and products. 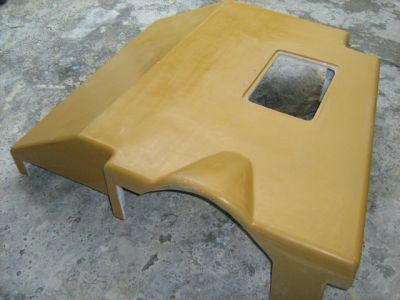 Our FRP Machine Covers are available to the clients in different sizes, to cover complex shapes.